In May 2018, four Muslim men were intercepted by Bajrang Dal activists and the police at Hiriyadka in Udupi district of Karnataka, as they were transporting cattle. Three managed to run away but 62-year-old Husainabba couldn't. His family received a call from the police a few hours later informing them that Husainabba had died of a heart attack. Over the next weeks, seven Bajrang Dal activists — Suresh Mendon, Umesh Shetty, Rathan and Prasad Kondadi, Chethan, Shailesh Shetty and Ganesh Naik — were arrested for the murder of Husainabba. For the first time in the history of coastal Karnataka, three police officials were also arrested for the murder. It has often been alleged that police officials collude with activists of the Bajrang Dal when they orchestrate such killings. The Superintendent of Police who is credited for the swift action, Laxman B Nimbargi, doesn't completely deny the charge. He says officers are humans as well and it is possible that some of them will have ideological preferences and leanings. "The only way to keep them in check is to take action, like I did," says Nimbargi. But he termed incidents such as the killing of Husainabba as the 'rarest of rare case'. One of the first cow-vigilantism incidents which triggered statewide outrage was in March 2005. 60-year-old Hajabba and his son Hussainabba were stripped off their clothes, beaten and paraded naked for three hours by activists of the Hindu Yuva Sena, Bajrang Dal and VHP. They justified the violence by saying that the father-son duo was illegally transporting cattle. This incident which sent shockwaves across the State, according to many activists, marked the arrival of 'gauraksha' activities and cow vigilantism in coastal Karnataka. This is also only partially true. In 1952, 53 years before Hajjaba and Hassanabba were publicly brutalised, the same district of Udupi saw its first political mobilisation for gaurakshaks. It is important to reiterate that the methods of the Sangh in Dakshina Kannada aren't a modern-day invention. Nor is this a 'laboratory' where recipes were tried out as recently as the 1980's. Coastal Karnataka is the oldest division of the Sangh in South India, forming as early as 1941, even before the State of Karnataka could take shape. While the level of violence around mobilisations in the name of the cow was relatively lower, as compared to the North, this doesn't alter the fact that these campaigns were very much part of the activities of the Sangh during its initial years in Coastal Karnataka. Was the western coast communal? We left Fakanar (ins: Barkur), and after three days came to the city of Manjarur (ins: Mangalore) - a large city on a bay, called the bay of ad' Dumb. It is the largest bay in the Malabar country, and in the city, most of the merchants from Fars and Yemen disembark. And there is an abundance of pepper and ginger there. He is one of the most powerful rulers of the country and his name is Ram Deo (Ramadau). In this city, there are about four thousand Muslims, who inhabit a suburb of their own inside the jurisdiction of the city. There is fighting between them and the inhabitants of the city often, but the raja (Sultan) intercedes since he has needs of merchants. Evidently, communal tensions existed even in medieval Mangalore. The multicultural nature of the western coast made it an easy spot for communal fights to break out between religious communities. Surprisingly, other than minor skirmishes which were controlled as mentioned in Battuta's memoir, communal violence didn't explode in colonial South Kanara like it did in the northern provinces of British India, especially in the United Provinces and the Punjab-Sindh region. As mentioned here, the trading Brahmins who occupied urban Mangalore were more focussed towards maintaining caste supremacy during this period. Also, Muslims were fellow traders. This might have deterred disputes as a business relationship existed between both. "It was during the last 700 years that flesh eating foreign races who started slaughter of cow and other animals came in considerably number and inhabited India. They eat away flesh and bones of all these beneficent animals." Other than quoting religious scriptures, the Marxist in Saraswati argued that killing cows will have more economic losses than gains. He based this on the assumption that milk is a primary source of nutrition for all and bulls are the only source of farm labour. He used such arguments to garner popular support. 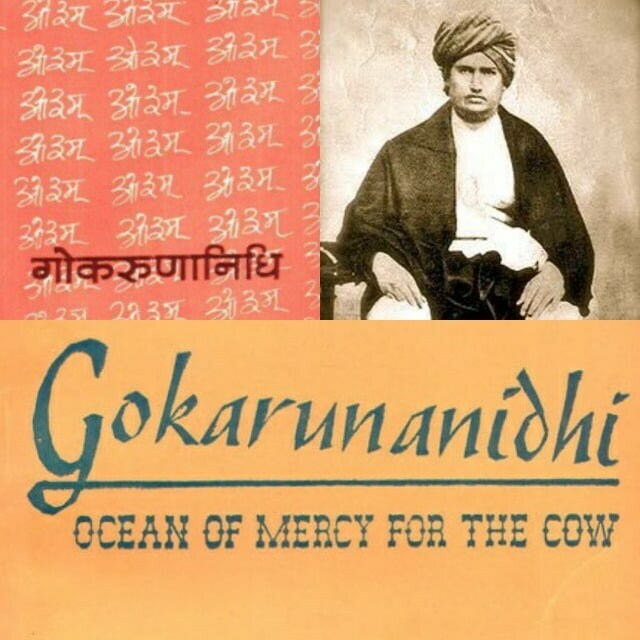 Saraswati published a book on the protection of cows called 'Gaukarunanidhi' in 1881. He concluded by recommending the setting up of Gaukrishyadhi Rakshini Sabha, where he called upon Gorakshak Sabhasads to work towards protecting the animal. 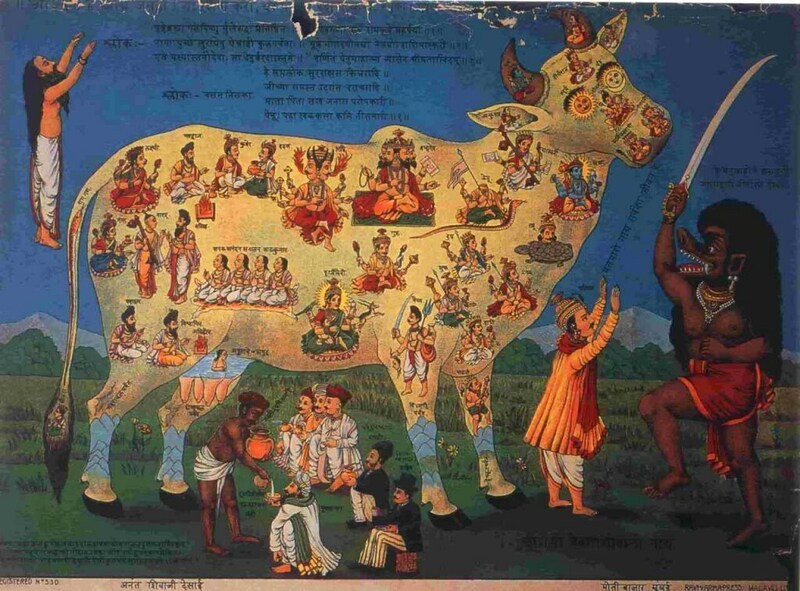 As commanded by their leader, Arya Samajists set up gauraksha societies across the Hindi belt, especially in the Punjab-Sindh region, where violence around gaus can be traced back to the 1850s. 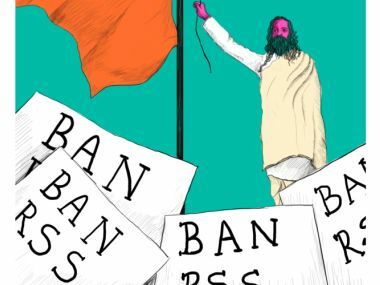 "Another feature of Punjab society was exemplified by the Namdhari movement, the pattern of casual and accidental violence arising from points of tension between the Muslim community on the one side and the Sikhs and Hindus on the other. Various forms of activity caused sporadic communal rioting. The greatest cause of such riots was the same as that which triggered the Namdhari clash with the British government, the issue of cow-killing. The sacrifice of cows at I'd, a major Muslim celebration, created periodic outbursts and, on occasion, the public sale or carrying of meat through a Hindu or Sikh section of town would produce violence. 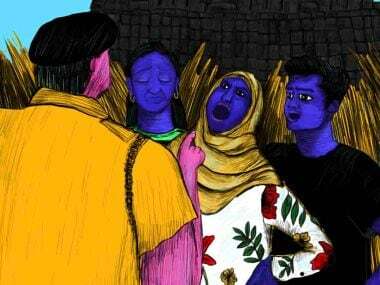 Religious festivals, particularly Holi or Muharram, were often marked by disorders and on those unlucky days when two festivals-one Muslim and one either Sikh or Hindu-would be celebrated, then rioting was almost inevitable." 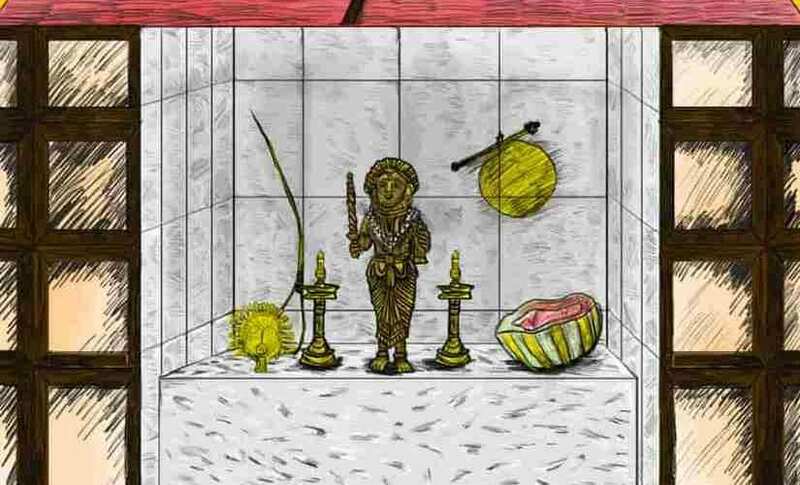 "Veneration of the cow was characteristically a Hindu attitude and a long standing point of tension between Hindus and Muslims, who ate beef and sacrificed cows in certain religious ceremonies. The defense of kine became a major element in Namdhari ideology, and so strong was their belief that in 1871 Namdhari extremists murdered several Muslim butchers in the Amritsar and Ludhiana districts." With the entry of Saraswati, this polarisation gained further approval and spread to other regions in the North as well. Starting in 1891, frequency of riots that broke out over the slaughter of cows in regions other than Punjab and Sindh increased. Members of the Indian National Congress also, directly and indirectly, endorsed activities around gauraksha. Regular public campaigns calling on 'Hindu protecters' to protect the 'sacred cow' against 'beef-eating Muslim invaders' in the north were organised. Handbills regarding cow slaughter were printed and distributed along with newspapers. This model of gauraksha emerged in coastal Karnataka as a popular method to homogenise the native population only a century after Saraswati wrote his controversial magnum opus. The Bharatiya Jan Sangh (BJS) picked up gauraksha as one of its primary action points immediately after its formation. In 1952, a national call was given by the BJS and the RSS to observe 26 October as Anti-Cow Slaughter Day and to collect signatures against slaughter. A first of its kind post-Independence, a National Cow Weekly was organised by the RSS in Udupi under the leadership of Kiriyaswamy of Kikkanur Mutt and Vishva Teertha of Pejavar Mutt in October-November 1952. It saw the participation of national leaders such as Prabhavathi Raje who was the President of the All India Ramarajya council and Swamy Adidevananda, President of the Ramakrishna Mission. At this program, cow slaughter was unequivocally opposed and the leaders stressed the need of a regular 'Cow Parliament' to discuss methods to combat this. The assembled leaders felt that the Indian National Congress had done nothing in the interest of cows. Even the recent trend of attributing scientific inventions to the 'Hindu civilisation' isn't a present day exercise. In the same Cow Weekly, Swamy Adidevananda stressed on 'how Pencillin is made out of cow dung' and encouraged his volunteers to spread awareness about this among the public. A collective call for banning the slaughter of cow was raised, signatures were collected and a letter was sent to the President of India asking him to bring about such a ban. A 'cow march' concluded the Cow Weekly. As a political activity, the Jan Sangh actively promoted the campaign of gauraksha through the 1950s and 1960s. 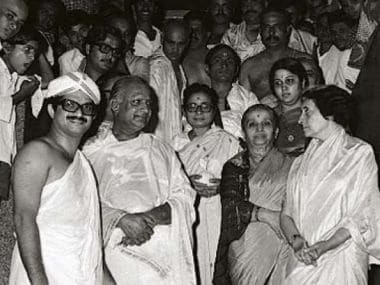 Sarvadaliya Gorakshan Maha Abhiyan Samiti (All party committee for cow protection movement) was constituted by the head honchos of various mutt's and other Sangh affiliates in September, 1966. They launched their outfit with a national demonstration at the Parliament in New Delhi on 7 November 1966. Thousands of religious sadhus and Sangh acitivists landed up in Delhi. Fights broke out in many places. In Parliament, Swami Rameshwaranad, one of the key organisers of the protest, directed the crowd to stall anybody from entering or exiting the Parliament till their demands were heard. Stones were pelted and, soon enough, the crowd started setting vehicles on fire. The mob entered Congress President Kamarajar's office and attacking his workers. Finally, the police opened fire, injuring many. The following day, Atal Bihari Vajpayee, LK Advani, Swami Rameshwaranad and other RSS leaders were arrested. The years to follow witnessed regular meetings on anti-cow slaughter which continued to be organised all over South Kanara by the Sangh. Simultaneously, the Congress also tried to take part in the movement by creating bodies like the 'Dakshin Kannada Cow protection Committee' which would tie cows and calves in different wards during election campaigns. In 1967, Vishva Teertha called for a law banning cow slaughter in the country, failing which he threatened that a big clash will ensue and all-India marches will be organised. What is evident from these programs is that while the calls for collective action were being spearheaded by religious leaders of Ashtamutta's like Teertha of Pejavara Mutt, who by the 1960s were important RSS leaders, the popularity of these campaigns remained largely within the Brahmin populace. It did not attract mass support as it does now. 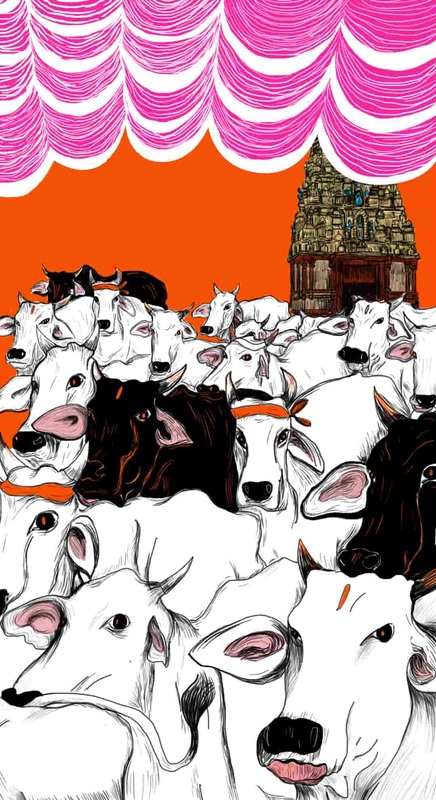 The major activity of Sangh affiliates, the Vishwa Hindu Parishad and Bajrang Dal in present-day Dakshin Karnataka, is to organise events around gauraksha. Though these campaigns have adapted to modern-day needs, the format is pretty much the same. It's just that these activities now depend entirely on efficient ways of attracting negative publicity, carry out attacks on Muslims, organise weekly rallies, take selfies and dish out aggressively loaded calls to form 'armed cow-squads'.